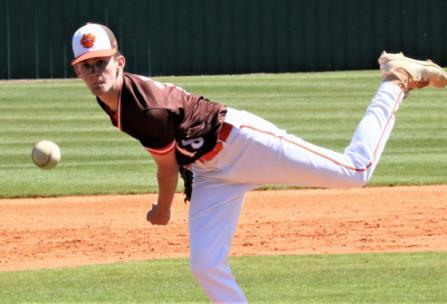 Grissom pitcher Daniel James delivers to the plate. 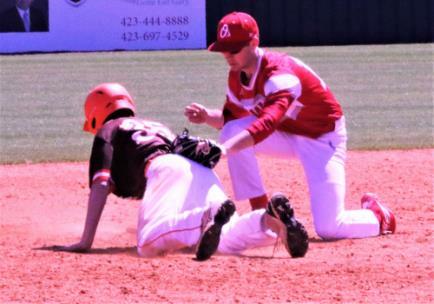 Grissom's Daniel Nobriga (35) is safely under the tag of Ooltewah's Trevor Dunleavy. 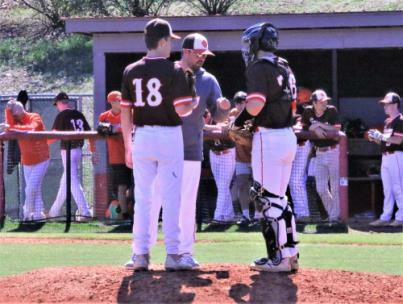 Grissom coach meets with pitcher Daniel James (18) and catcher Blake Madewell. 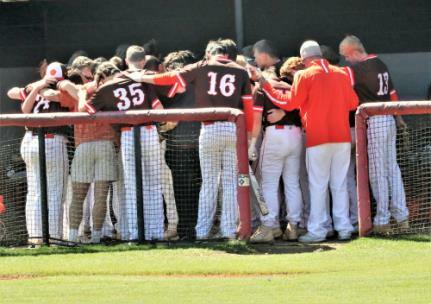 Grissom players pray before the game. 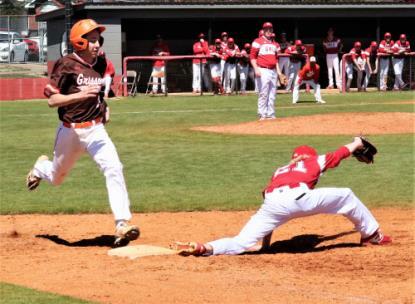 Grissom's Hunter Zuidema slides into third ahead of the throw as Ooltewah third baseman Fisher Perry waits. 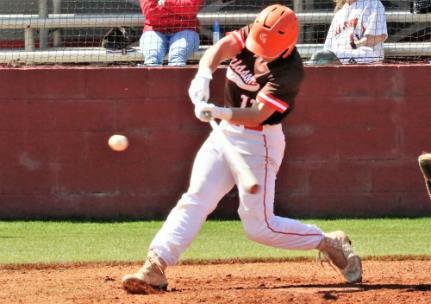 Grissom's John Allen Stogner gets ready to make contact. 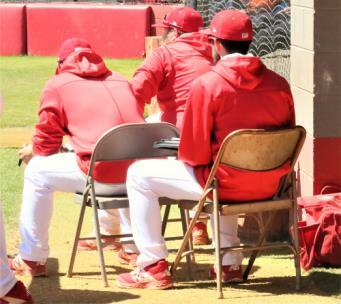 Ooltewah coaches have a front row seat to the action. 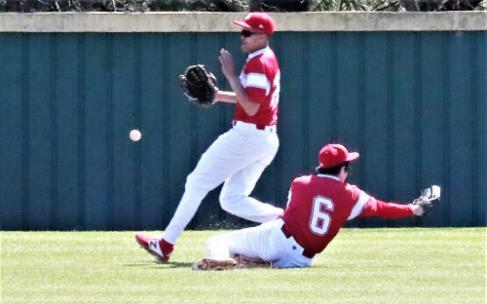 Ooltewah outfielders Payton Keiser (6) and Tyler Phillips avoid a collision. 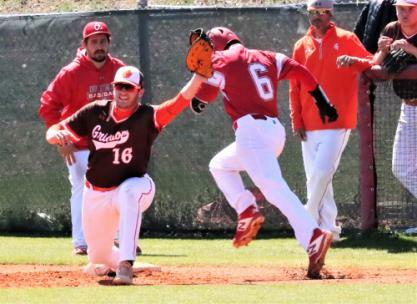 Ooltewah's Payton Keiser (6) is out by a step as Grissom's Zac Thomson (16) takes the throw. 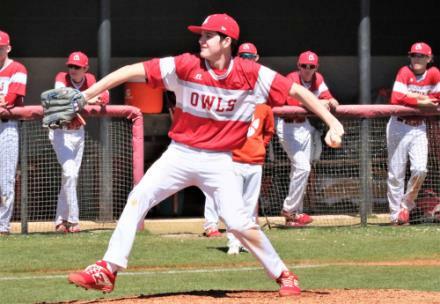 Ooltewah starter Dominic Mackaluso winds up to pitch. 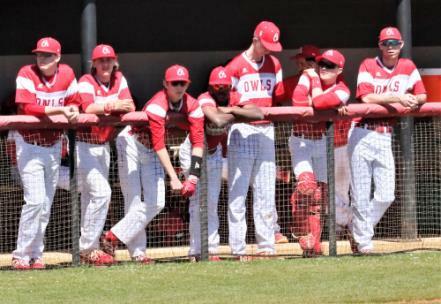 Ooltewah players observe play from the dugout. 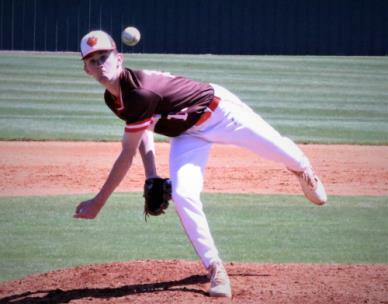 Grissom starter Daniel James rocks through his windup. 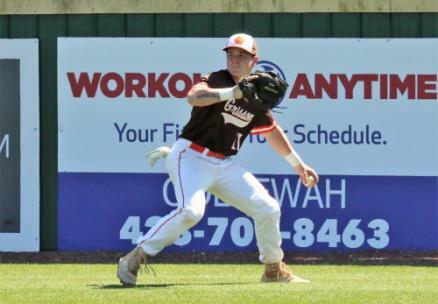 Grissom rightfielder Evan Koob sets to throw to the infield. 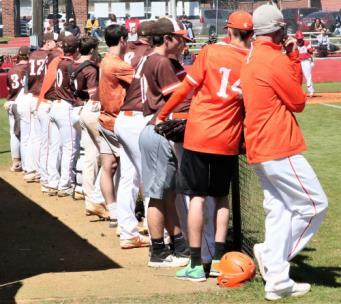 Grissom players line the dugout rail. 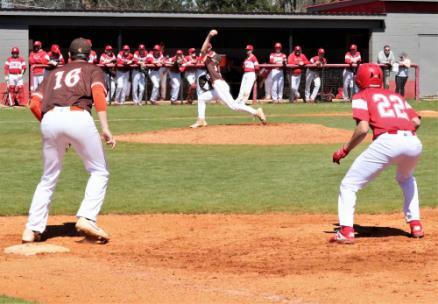 Ooltewah's Tyler Phillips (22) watches for Grissom pitcher Daniel James' release as first baseman Zac Thomson moves into a defensive position. 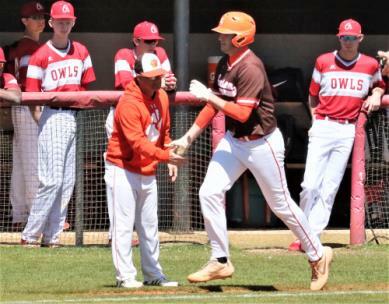 Grissom's Zac Thomson receives a handshake from his coach as completes his homerun trot. 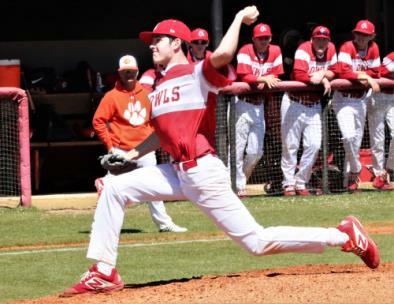 Ooltewah starting pitcher Dominic Mackaluso winds up for a pitch. 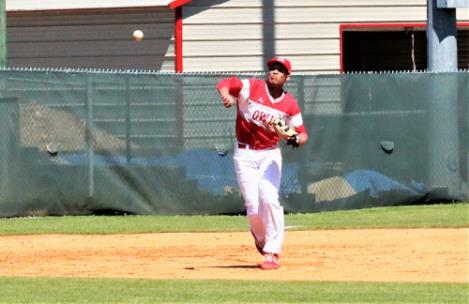 Ooltewah shortstop Fisher Perry throws to first. 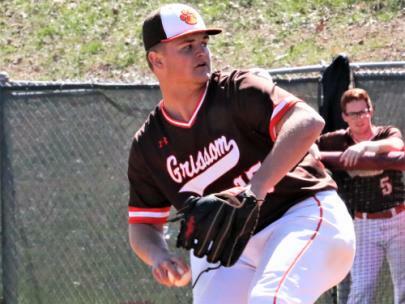 Daniel James delivers a pitch for Grissom. 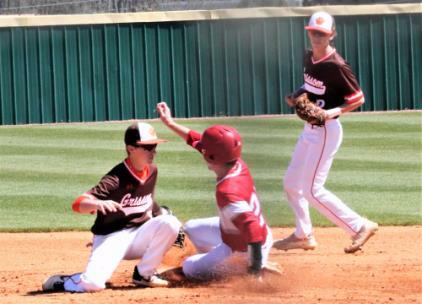 Ooltewah's Tyler Phillips, center, is safe at second as Grissom's Hunter Zuidema applies the tag. 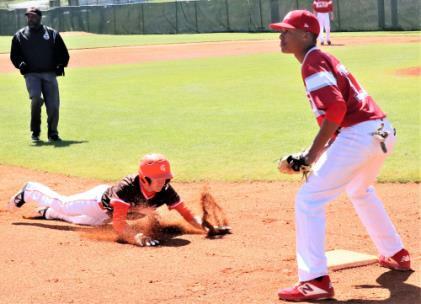 Zuidema's teammate Jack Causon, right, backs up the play. 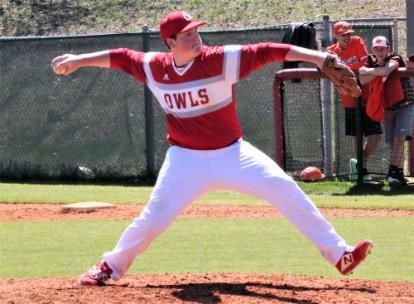 Ooltewah first baseman Chris Bayne (21) stretches for the put out of Grissom's Daniel James. 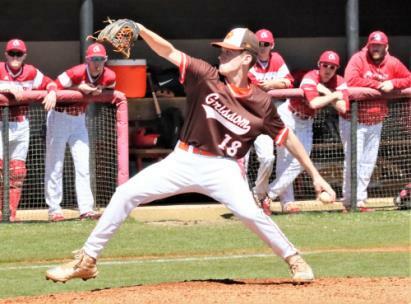 Ooltewah reliever Trevor Robinson winds up to throw to the plate. 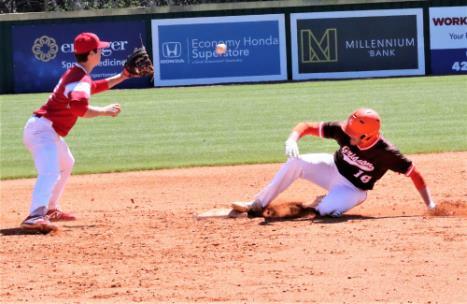 Ooltewah's Fisher Perry, left, sets to take the throw as Grissom's Zac Thomson slides into second. 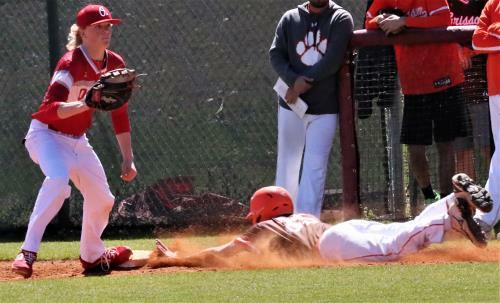 Grissom's Daniel Nobriga, right, slides safely into first as Ooltewah's Chris Bayne sets to take the throw. 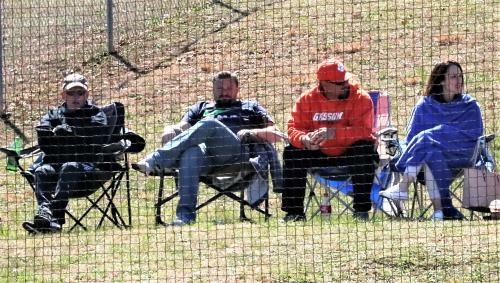 Fans enjoy the sunny day at A.C. Bud Day Field.